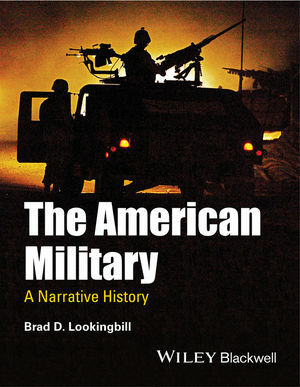 The American Military: A Narrative History presents a comprehensive introduction to more than four centuries of American military history. Brad D. Lookingbill is Professor of History at Columbia College of Missouri. Prior to his academic career, Dr. Lookingbill served in the Army National Guard and Reserve. He is the author of Dust Bowl, USA: Depression America and the Ecological Imagination, 1929-1941 (2001), War Dance at Fort Marion: Plains Indian War Prisoners (2006), and American Military History: A Documentary Reader (Wiley-Blackwell, 2011).